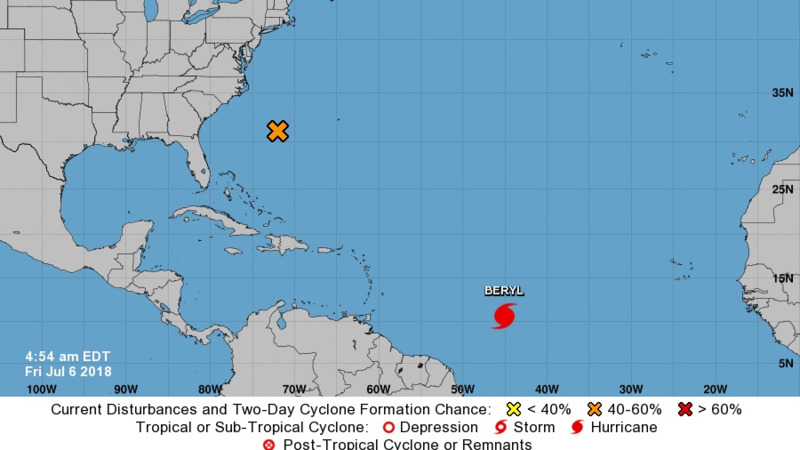 Hurricane Beryl, the first hurricane of the Atlantic season, is heading for the Lesser Antilles, and is estimated to hit the region between late Sunday and Monday. 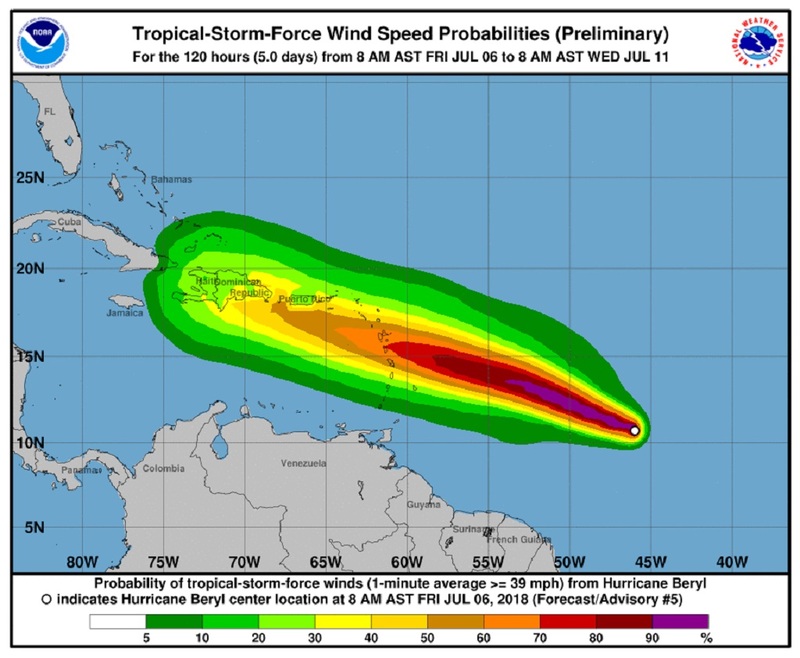 According to an update from the US National Hurricane Center minutes ago, at 11:00 am today, Friday, Beryl has sustained maximum winds of 80 miles per hour (130 kilometres per hour), and is travelling West at 15 miles per hour (24 kilometres per hour). Islands in its path may need to issue hurricane watches from Friday night. Interests in the Lesser Antilles should monitor the progress of Beryl, as hurricane watches could be needed for some of the islands by tonight. At 1100 AM AST (1500 UTC), the eye of Hurricane Beryl was located near latitude 10.7 North, longitude 46.5 West. Beryl is moving toward the west near 15 mph (24 km/h). 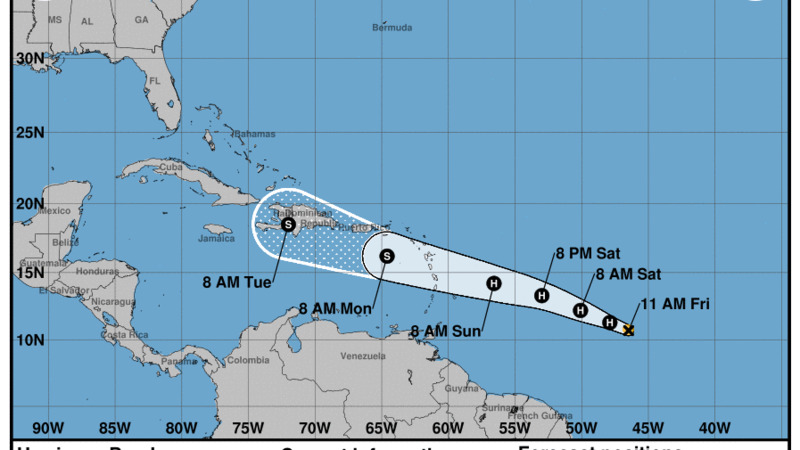 On the forecast track, the center of Beryl will approach the Lesser Antilles over the weekend and cross the island chain late Sunday or Monday. Maximum sustained winds have increased to near 80 mph (130 km/h) with higher gusts. Additional strengthening is forecast during the next couple of days, and Beryl is expected to still be a hurricane when it reaches the Lesser Antilles late Sunday or Monday. Weakening is expected once Beryl reaches the eastern Caribbean Sea on Monday, but the system may not degenerate into an open trough until it reaches the vicinity of Hispaniola and the central Caribbean Sea. 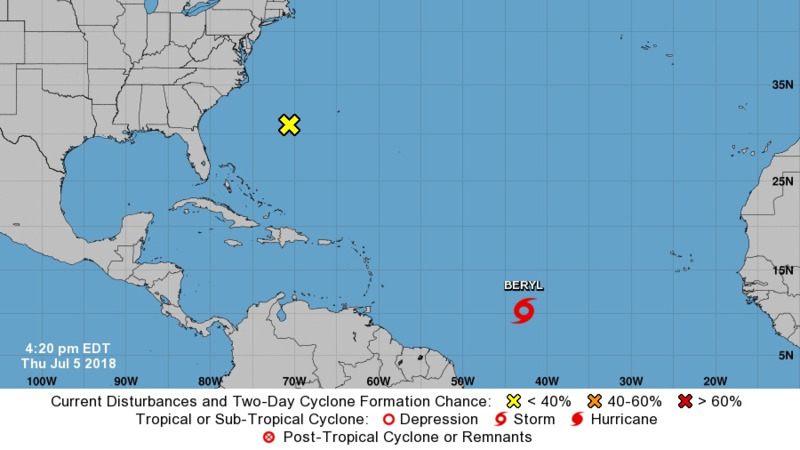 Beryl is a compact hurricane. Hurricane-force winds extend outward up to 10 miles (20 km) from the center, and tropical-storm-force winds extend outward up to 35 miles (55 km). 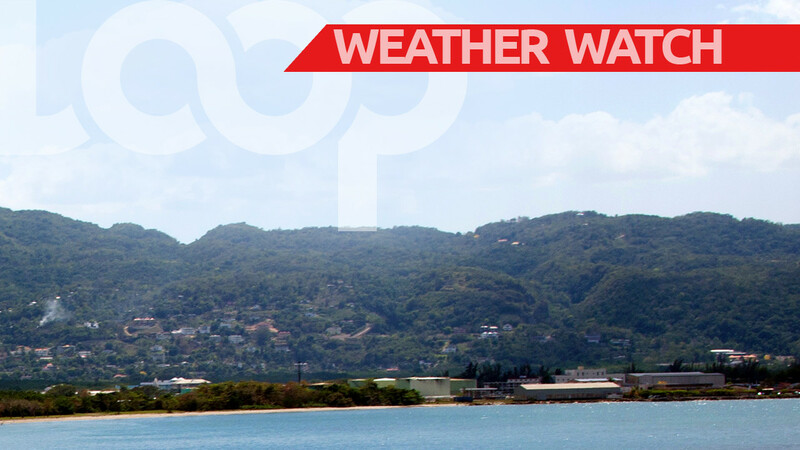 The Trinidad and Tobago Meteorological Service issued an Adverse Weather Warning for Saturday morning, during which the country may experience heavy showers in varying localities as well as thunderstorms in a few areas. Gusty winds and street or flash flooding are likely in areas of heavy showers. The Met Office assured the public that Trinidad and Tobago is not under any Tropical Storm watch or warning. This is a developing story; please refresh the page for updates.